Tequila-like spirits have been produced in Mexico from the age of the Aztecs, long before the arrival of the Spanish conquerors in the 16th century. It was in 1795 that Jose Cuervo, under a license from the government, began distilling tequila in the region of Jalisco (which includes the town of Tequila), where there was an ample supply of the agave (pronounced ‘ah-gah-vay’) “cactus.” In actuality, the agave is not a cactus at all but a type of succulent, related to the aloe and lily family. Tequila is made from at least 51% blue agave, sourced from defined regions (similar to DOC regulations for wine). Originally, all tequilas were 100% agave, but with an increased demand for agave in the 1930’s where there was a limited harvest, steep increases in price were avoided by the addition of non-agave sugars for many entry-level tequila brands. These basic tequilas are known as “mixto,” but you won’t see the term used on the label. The blue agave, Agave Tequila Weber Azul, is just one of approximately 136 different species of agave plants, most of which grow in Mexico, that have an industrial use. These uses include planting as ornamentals, food, a source of material fiber, and beverage production. 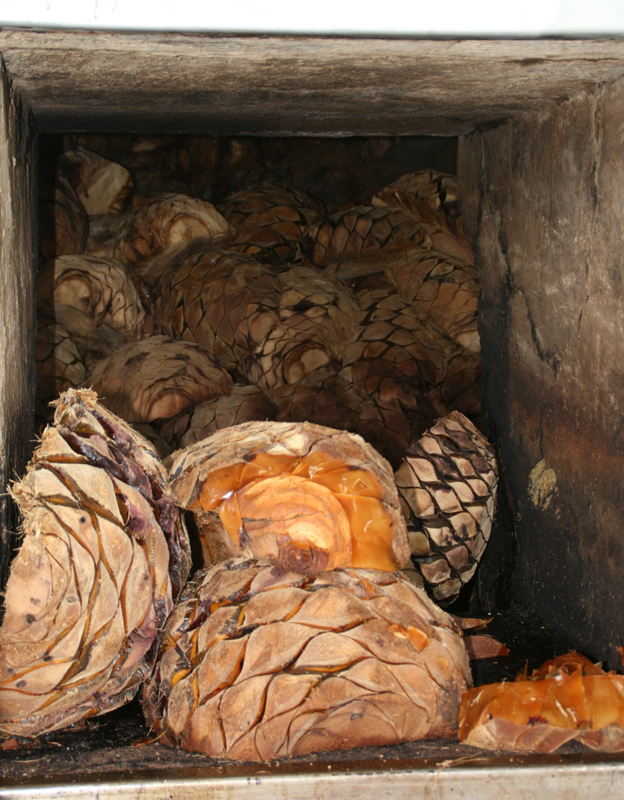 Agaves, like grapes, are sensitive to region of cultivation (sometimes known as terroir). The place of cultivation produces different characteristics among the same species. 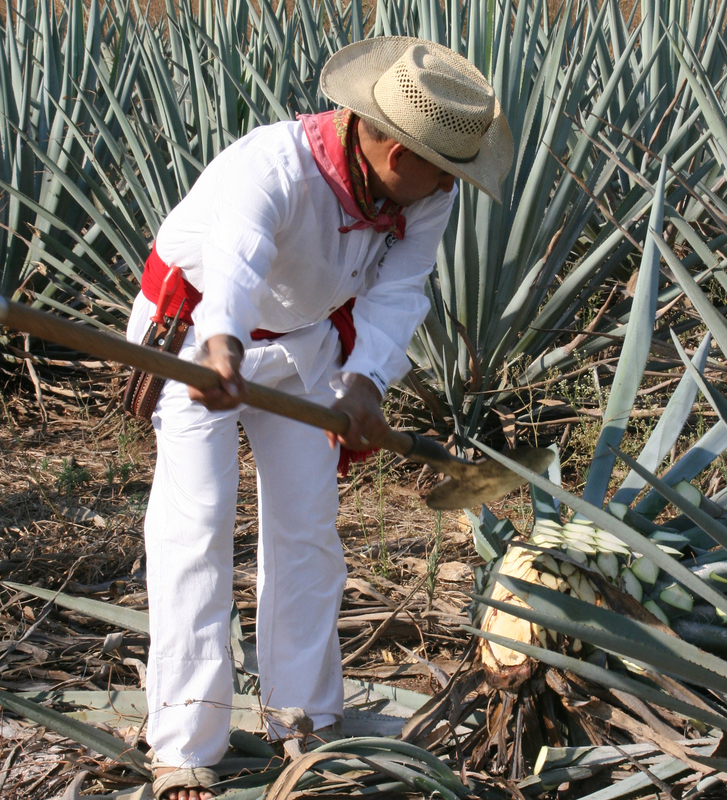 The final aroma and flavor profile of tequila comes mainly from: agave, distillation process and aging. 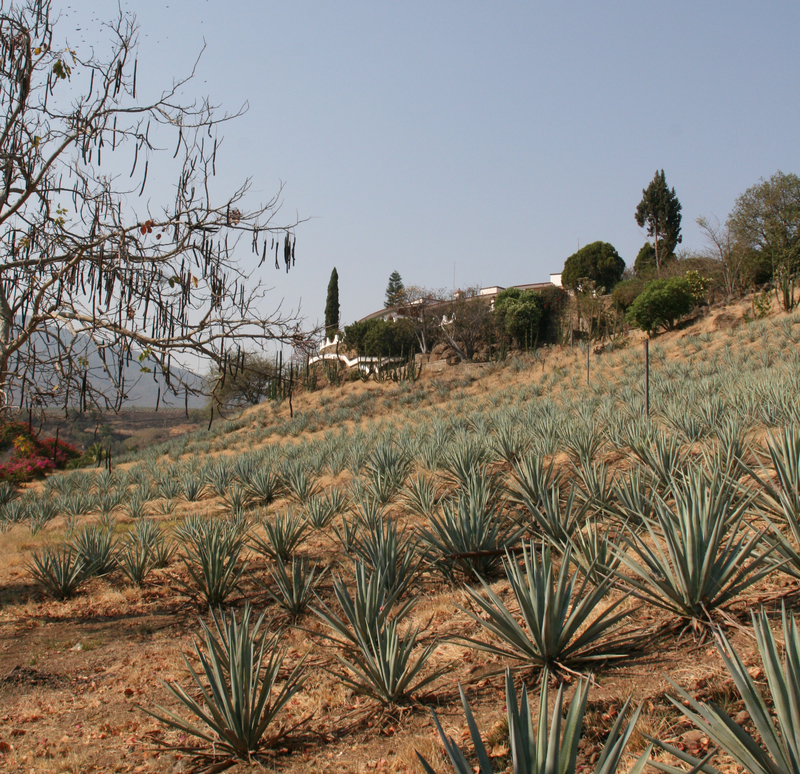 Tequila producers will sometimes blend agaves from different growing regions to affect a certain flavor profile. The Spanish introduced distillation, probably in the 1520s. All of the different forms of distilled spirits made from agave plants were originally called “agave wine”’ or “mezcal wine.” Tequila did not emerge as a separate drink until the late 1800s. The starch-rich hearts of the agaves are cooked in adobe clay ovens at temperatures reaching nine hundred degrees Fahrenheit. This slowly converts the agave’s starches into sugars. They are then ground, mixed with water and fermented. The resulting low alcohol musto is then distilled, with the best tequilas crafted using the traditional pot still – basically a giant pot with a long-necked cover welded on and a coil of steam-carrying pipe around the bottom of the pot. The must is pumped into the still and heated so the alcohol vaporizes off and is condensed back into a liquid. The fresh tequila is then placed into barrels for aging and maturation. This is the stage at which all spirits gain their coloration, either by the addition of artificial coloring or by aging in oak barrels. All distilled spirits are clear when they come from the still and the transformation into brown spirits is caused by the interaction between the spirit and the wood or the addition of other forms of coloring. There are several basic styles of tequila: White (or blanco) is a clear spirit which looks much like water. 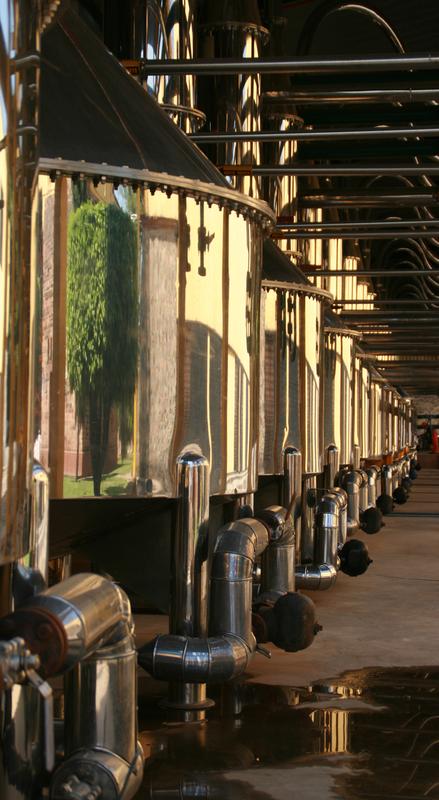 It is typically either bottled immediately after distillation, or allowed to rest in stainless steel tanks. Reposado, meaning “rested,” is placed in wooden storage containers or barrels for not less than two months. The barrels are usually ones used previously by the whiskey producers of Kentucky or Tennessee. Añejo, meaning “aged,” is placed in small wooden barrels for not less than a year. The finest añejo tequilas take on a deep color and rich flavor from the wood which enhances their complexity, creating fine spirits rivaling the top cognacs of the world. Tequila is my drink of choice since my trip to Mexico. I am glad to hear there is a National Tequila Day. I was under the impression that for the Silver aka Blanco, that it was distilled twice. Is that accurate? Also, I beleive something very important is missing from the article which are those tequilas of 100% Agave and what distingushes the ones name above and the % in relation to the agave and mixes in them. The distiller we visited in the hills just outside of Puerto Vallarda said the better quality tequilas are double and triple distilled, especially the anejos. When they are put in the barrels some color is absorbed from the wood and if more color is needed a caramel coloring is added. The best anejo has a definite smokey flavor and in my opinion should be drank straight. Like good whiskey or bourbon, the longer it is aged the better it is. Smooths it right out.